On Thursday, 25th of January, a film company came to St. Paul’s and were filming throughout the day. The director of the project is Bill Bailey- a past pupil of our school who is in his final year of media studies in college in Dublin. 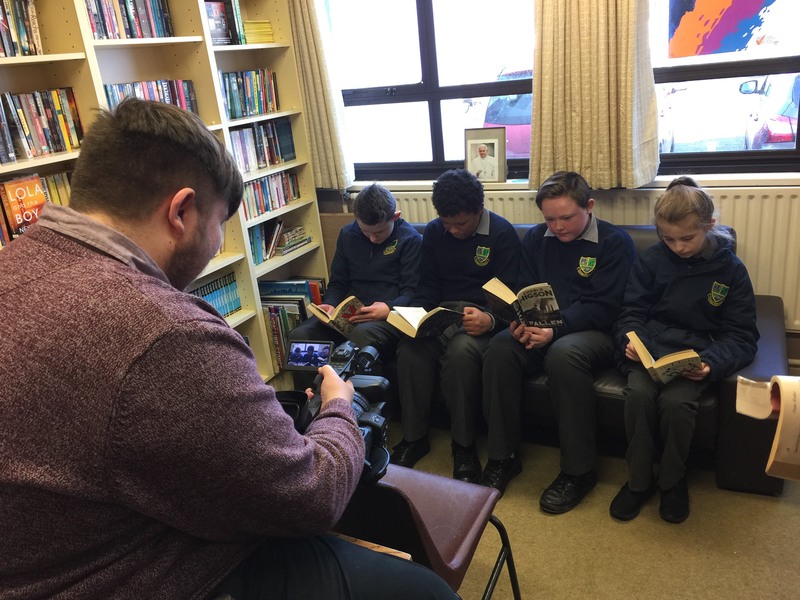 The film crew were in the school as part of a Film Initiative for Junior Certificate Schools Program (JCSP) students. Both 1st and 2nd Year JCSP students took part by ‘staging’ various JCSP activities throughout the day. One of the filmed activities for 2nd Years was filling out Subject Statements and writing in Keywords. While they were in the school, Bill gave a useful piece of advice; ‘’Don’t burn bridges with anyone, you never know when they’ll be useful.’’ With this he was referring to the strong links which he has kept with the school over the years. It is envisaged that the completed project will be launched on the school website before the Easter holidays.